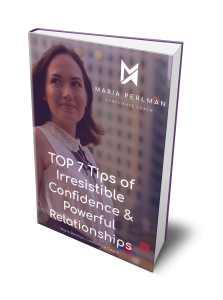 Maria Perlman is a confidence coach who helps professional men to build irresistible confidence and powerful relationships. Her background is in corporate sales and business development, but she has always been fascinated by discovering her inner potential and inspiring others to achieve their best. Maria is an inspirational speaker, a loving wife and an empathetic person. Her story has inspired lots of people to achieve breakthroughs in their lives and change for better. Maria is a truly inspirational coach. 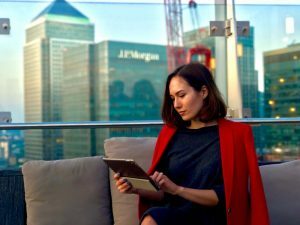 When we started, my work-life balance was non-existent and my confidence shattered. She has helped me to become the man I knew behind my mask. She has helped me to rebuild and reboot. Now I believe in myself, I am confident, and I am finally living my life. My confidence around women has changed and I am successful. I’m happy again. Because of Maria, I have high self-esteem and look forward to every day. Maria is amazing, and I am so glad she is part of my life. I came across Maria by sheer luck. I was going through a bit of a dark period, struggling with my self-esteem and self-worth, and her posts on Instagram struck a chord. We started talking and now we Skype at least once a week. I love that I can talk to her from the comforts of my own home. She helps me to tear down the road blocks in my head that I've subconsciously created over the course of my life. It’s not easy, but I feel like I have learned more about myself and am growing more within the comforts of my own skin than I did with any psychotherapy session I had years ago. Maria is relatable and extremely conscientious. Thank you Maria. I have seen Maria public speaking and each time it gave me self-confidence. I had lost my confidence over the course of a decade for various reasons, and had been unable to regain it even though I tried various other things. Given this, I asked Maria whether she could help me regain my self-confidence through her coaching sessions and she kindly accepted. She was open and honest about what she can do. Her sessions boosted my confidence and, to my surprise, she eventually helped me to restore my self-confidence to pre-lost levels. 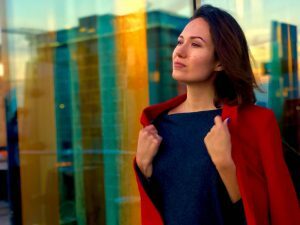 I can confidently recommend Maria’s coaching session to those who want to restore their self-confidence, which has been lost through various life events. Maria Perlman © 2018 All rights Reserved.